Come on over for a visit. We’d love to have you. We are a vibrant, growing family of Christ-followers guided by a mission to multiply and mature as followers of Jesus. Have some questions? No problem. We want you to be able to experience the Christ-exalting music, passionate messages from God’s Word, loving people, and authentic community that are central to our DNA. We understand your first visit to a church – any church – brings up a lot of questions. So here is a quick look at what you can expect, based on what people see when they visit North Park. Our focus is to joyfully follow the mission Jesus gave us: “Go therefore and make disciples of all the nations…” (Matt. 28:19a). We are a gospel-centered, Bible-teaching, Jesus-loving community of all ages that desires to grow in God’s grace and go out on God’s mission. Located on the northeast edge of the Grand Rapids city limits, we desire to reach our local community, as well as partner with other ministries and churches that seek to see the Gospel proclaimed to the greater Grand Rapids area. We rejoice in God’s grace, preach God’s life-changing Word, and go out with God’s Good News through missional action. You’ll experience great, Christ-exalting music, friendly people, and the enjoyable atmosphere that characterizes North Park. You’ll gain exciting insights and life-changing truths from God’s Word that will be practical and transforming, and will help you deal with the real issues of life. Knowing the life-changing nature of God’s truth drives us to share the message and mercy of Jesus Christ with our community and the entire world. We invite you to join us at North Park to worship the Rescuer and Redeemer, Jesus Christ. What is available for my children or teens? Our children’s programs and student ministry at North Park are designed to meet children and teens where they are and to help them become faithful followers of Jesus Christ. The best way to impact them is by example, so we’ve carefully chosen workers who are godly, loving role-models for kids of all ages. All our volunteers must pass a thorough background check and regularly receive specialized training. We know that as a parent you need to be sure your children are in a safe environment. And we also know your children are looking for a fun place to learn. We’ve invested a lot to make sure that both of these goals are reached. From nursery to High School, young people at North park will be impacted positively for eternity! There is great community for everyone at North Park! Whether you’re looking for a place to serve or be refreshed, there are many opportunities for involvement – from Bible studies to golf leagues, to parenting groups and financial planning. 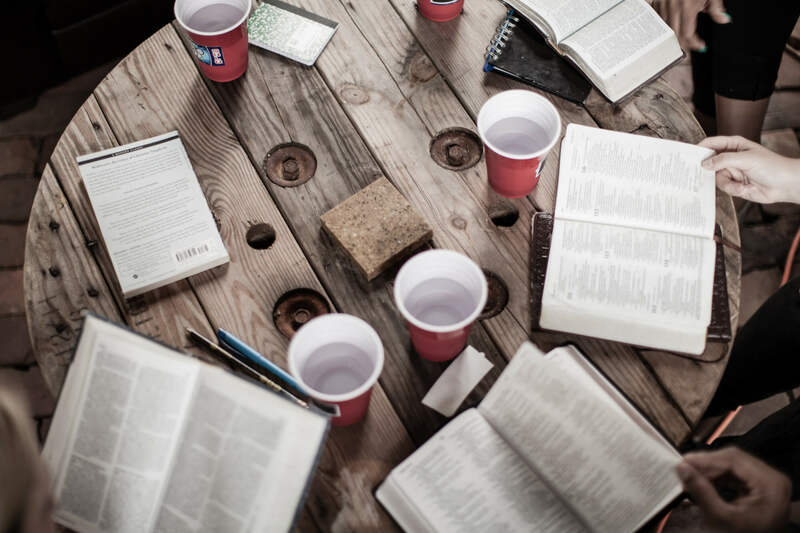 What’s more, North Park’s Adult Bible Fellowships (ABF) meet on Sunday mornings (at 9:15 am) to study God’s Word and offer a warm, smaller group setting where real people help each other deal with the struggles and challenges of life. We believe that the journey is all about growing forward into a deeper relationship with God and the people you “do life” with.